Archives arranged and described in 2017 are now open for research. We are most grateful to all our generous donors! Materials created by Dominion Rubber, and later Uniroyal, primarily relating to the activities at the Dominion Tire plant on Strange Street in Kitchener as well as to the planning and implementation of the Uniroyal world junior curling championship. Also includes: 1,238 photographs, 6 architectural drawings, 3 maps, 1 plan, 2 audio cassettes, 63 audio reels, 26 film reels, 6 video cassettes, 1 pin, 1 ruler, 4 tire stands, 2 bumper stickers, 3 patches, 1 sticker, 34 data tapes. 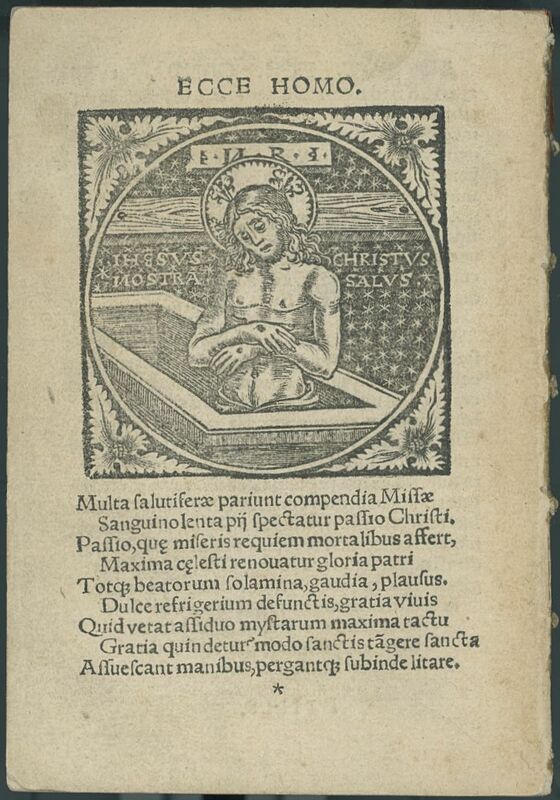 The most recent donation to the Sol Eisen Collection of Canadian reflects not only Eisen’s interest in Canadiana but also in Americana and Incunabula. Complimenting the 179 items that are already found in our collections, this donation includes early tracts and sermons from the North Eastern United States, as well as early rare imprints of works from Upper and Lower Canada. Of particular note are fragments from the hand press period and mid 19th century issue of the Advocate of Peace and Universal Brotherhood. Materials created by Electrohome Limited and its predecessors and accumulated by John Koegler, the former Electrohome historian. Includes organizational and administrative records, materials relating to manufacturing, advertising materials, and photographs. Call number: GA356. Fritsch Pharmacy began in 1920 as Beger and Schaefer at 191 King Street West in Kitchener. In 1960, the store was taken over by Michael Fritsch,who converted the store to selling perfumes in 1988. Over the years, the numbering of King Street has changed; the store currently stands at 201 King Street West. 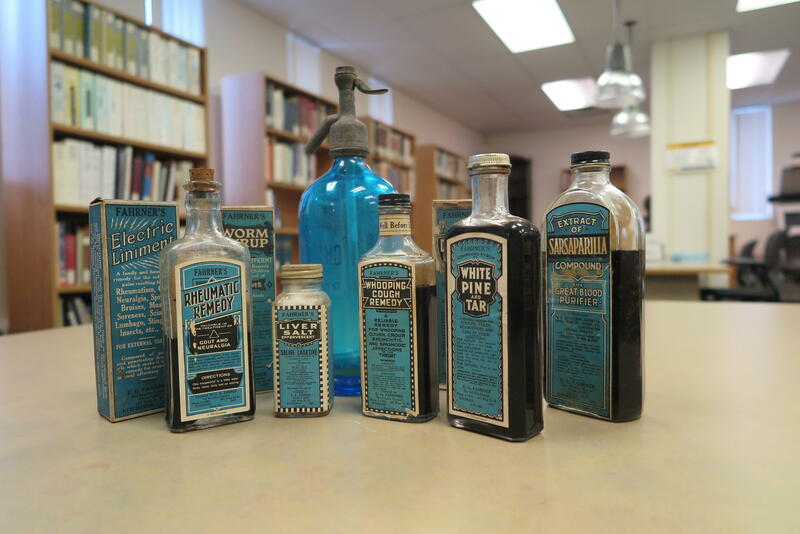 The fonds consists of materials documenting the history of Fritsch Pharmacy and its predecessors. Includes Ontario College of Pharmacy school workbooks, original medicines, drug record books, and more. Call number: GA376. The accrual consists of material created and accumulated by members of the Maines Pincock family primarily related to séances and the occult. Includes séance notebooks, sermons, ephemera, photographs, and more. Call number: GA354. Wayne Caston is a Professional Geoscientist, a consultant in the aggregates sector, and a lecturer at the University of Waterloo. The collection consists of 82 plans of gravel pits in Ontario. The plans were collected by Wayne Caston, and he was involved in consulting in many of the projects. Call number: GA378. Jerzy-Tadeusz Pindera was born December 4, 1914 in the village of Czchow, in the Austro-Hungarian empire (now Poland) and raised in Chelm. He fought in World War II and spent 5 years at the Sachsenhausen concentration camp. In 1965, Pindera accepted a position as Professor of Experimental Mechanics at the University of Waterloo, where he remained until 1983. The fonds consists of materials relating to the life and career of Jerzy Pindera, with a focus on his time in World War II and as a prisoner of war. Includes correspondence, articles, war records, and short stories, as well as tapes of interviews conducted with him. Call number: GA230. Finding aid of Virgil Burnett fonds : 2016 accrual (PDF). GA357. Finding aid of Alida and George Burrett fonds : 2016-2 accrual (PDF). GA369. Finding aid of Canadian Obesity Network Student and New Professional University of Waterloo chapter (PDF). GA374. Finding aid of Anne Innis Dagg fonds : 2017 accrual (PDF). GA377. Finding aid of Faculty Association of the University of Waterloo fonds (PDF). GA301. Finding aid of Glow Centre for Sexual and Gender Diversity fonds (PDF). GA358. Finding aid of Alice Riggs Hunt : 2016 accrual (PDF). GA368. Finding aid of Innis Family fonds (PDF). GA373. Finding aid of S.K. Johannesen fonds : 2016 accrual (PDF). GA367. Ratz family fonds and Ratz family genealogy. GA321 & GA333. Finding aid of Schantz Russell family : 2017 accrual (PDF). GA355. Finding aid of Women's Press Club of Toronto : 2017 accrual (PDF). GA375.